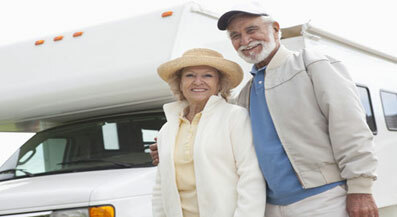 Save $97, $165 $284 or More on Your RV Insurance! Whether you own a RV, camper van, fifth wheel, toy hauler, pop-up, travel trailer, motor coach, motor home (class A, B or C) or camper, we can help you get the right North Carolina Recreational Vehicle Insurance protection at the lowest cost. Call 866-869-3335 To Get the Right Recreational Vehicle Insurance Protection For You at the Lowest Cost! Owning a RV gives you tremendous freedom to travel and explore the beauty of our great country and beyond. Your RV is also a huge investment that can also create large expenses when things go wrong. That’s why having the right RV insurance protection before you hit the road can help you enjoy your travels knowing that whatever comes your way, your trip won’t turn into a trip from hell. Big Mistake RV Owners Often Make- Insuring Their RV With an Insurance Company That Doesn’t Know RV Owner’s Needs! We offer Recreational Vehicle Insurance protection through North Carolina’s top insurance companies including Progressive Insurance, GMAC Insurance, Foremost Insurance Group and others. You don’t ever want to insure your RV with a company that doesn’t offer specialized coverage for recreational vehicles. They simply just don’t understand your traveling needs and can leave you stranded when something bad happens. You can select options to add to your RV insurance policy such as vacation liability, full timers, emergency expense and more.